We’re a few weeks into the year and the post-Christmas summer holiday booking season has begun in earnest. Throughout Ireland hard-earned cash is being tactfully ringfenced as eager jet-setters leaf through bulky holiday brochures dreaming of bottomless mojitos, clinking glasses and trays of tapas set to a backdrop of golden beaches and turquoise waves. Sun holidays have been an indispensable staple of the Irish summer experience for decades. Since the meteoric rise in popularity of low-cost airlines like Ryanair and EasyJet in the 1990s/2000s our island has experienced unprecedented surge in air traffic. July 2018 was the busiest month in Dublin Airport’s history; Cork and Shannon also experienced incremental rises in footfall. Sun holidays aren’t the only getaways piquing the Irish interest though: our natural pale, freckly complexions mean not everyone is cut out for hours of bronzing on Balearic beaches. Some prefer active holidays – enter hill hikes and mountain climbing; skiing and snowboarding. If you like your holidays active, you should consider checking out some of the continent’s many marathons. Marathon running and the travel boom developed in tandem through the 80s and 90s and have begun to overlap as an increasing number of runners pound the pavement of foreign streets. More than 66,000 hopefuls outside the UK applied to run the London Marathon last year – a new record. 5,700 of the 17,000 runners in the 2018 Dublin Marathon flew in from abroad. Here, I have examined three of the best marathons in Europe readers should consider in 2019. Marketing itself as “one of the most awesome marathons in the world” the Ibiza marathon’s organisers believe that their party island paradise hosts a race that deserves a place among Europe’s elite road events. Ibiza is drawing upon its legendary reputation as a place of pilgrimage for European partygoers, promising racers the opportunity to sample the island’s legendary nightlife and endless beaches, with an introduction to the natural and historical heritage also meant to tempt runners seeking a more low-key getaway. Ibiza’s marathon is relatively young – the first incarnation took place in 2017, and on an island just 45 kilometres long and 25 kilometres wide it’s a big ask with such little space. If you laid out the entire course linearly from the most westerly point on the island to the most easterly, you’d have less than three kilometres left before reaching the opposite shore. The race takes place on April 6th, 2019 with registration open until the end of March. Entry will only set you back €40 – an absolute steal for a full marathon. The Madrid Marathon is widely renowned as one of the most prestigious running events in Europe. During its distinguished 41-year history it been attributed gold label race status by IAAF (International Association of Athletics Federations) – one of only 15 marathons on the continent; it has been contested by some of the most venerable runners on the planet; and hosts Spain’s domestic running championship finals in tandem with the main event. The course record was set by Kenyan great Ezekiel Chebii, who ran home in 2:09:15 in 2014. Beginning at Plaza de Cibeles, the 42.2-kilometre course takes a south-westerly route which allows runners to take in sights like the city’s primary square Plaza Mayor, the classically elegant baroque Palacio Royal, presently occupied by his majesty King Felipe V and Puerta del Sol, home to the office of the President of Spain and the regional parliamentary offices for the Autonomous Community of Madrid. The event wraps up in Retiro Park, a recreational space wedged with ornate classical statues and a wild rose garden, likely to be in full blossom in April. 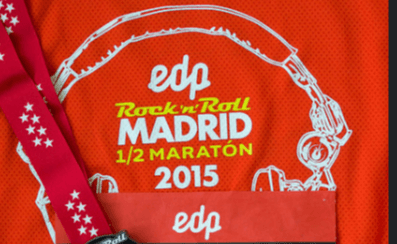 The Madrid Marathon takes place on April 28. Entry costs €75 until February 28 or €80 thereafter until the race reaches its 15,000-place capacity. Organised long distance running tends to take a hiatus on the continent through the summer months. Sweating one’s way through sweltering 20-plus Celsius temperatures in sticky, humid Mediterranean-adjacent cities isn’t an ideal scenario for most runners, save for the most avid. Some notable summer exceptions include the Midnight Sun Run in Tromso, Norway, and Mont Blanc Marathon in Chamonix, France, both held in colder climbs and geared towards attracting year-round runners. There is a wealth of autumn marathons to choose from – three of the six marathon majors Berlin, New York and Chicago take advantage of crisp air and cooler temperatures this time of year. 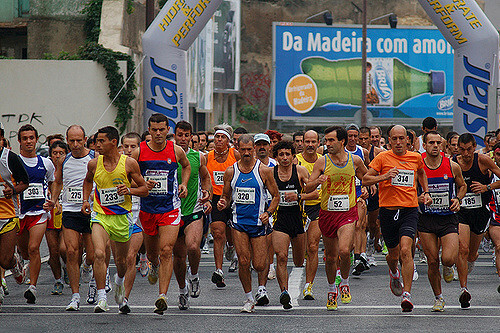 One race high on our list is the Lisbon Marathon. Lisbon lauds itself as ‘one of the most beautiful marathons in the world’. Twenty-five of the 26.2-mile course is run by the River Tagus shoreline. 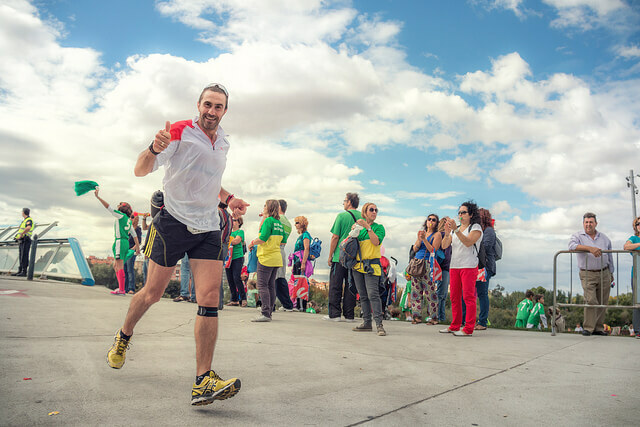 The marathon kicks off in the western Cascais region and moves east along the city’s seafront, progressing through the east and ending at the elegant Praça do Comércio, the city’s largest plaza. In addition to facilitating panoramic sea views of Lisbon’s sprawling coastline, the course brings runners across the magnificent 2.27-kilometre 25 de Abril bridge, a downsized replica of the Golden Gate Bridge in San Francisco, towards the 25-metre tall Christ the King monument, inspired by and nearly identical to the Christ the Redeemer monument that dominates Rio de Janeiro skyline.